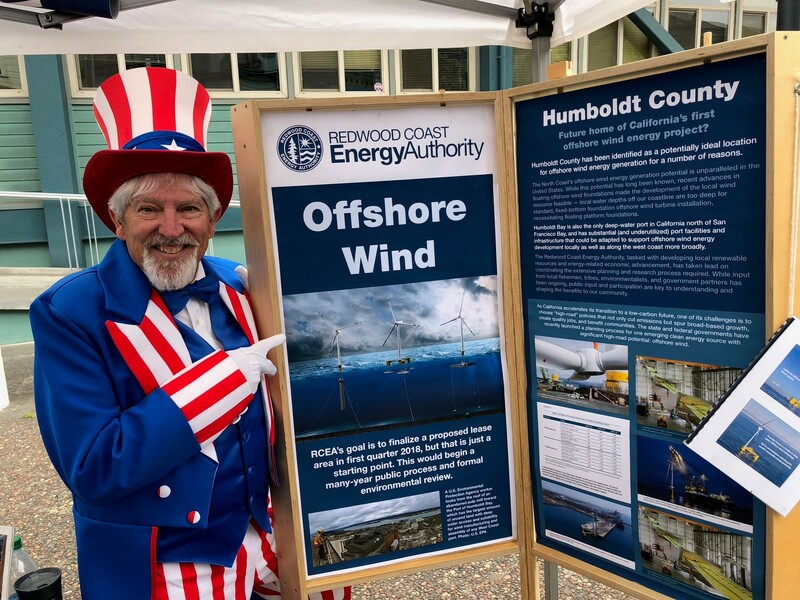 Humboldt County has been featured in local, national and international news throughout 2018 as a potentially ideal location for offshore wind energy generation. 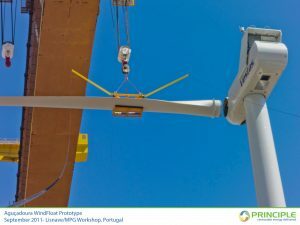 The Redwood Coast Energy Authority, tasked with developing local renewable resources and energy-related economic advancement, has taken lead on coordinating the extensive planning and research process required for what could be California’s first floating offshore wind project. While conversations with local fishermen, tribes, environmentalists, labor unions and government partners are ongoing, our community’s response has been supportive. RCEA is committed to advancing the responsible development of our offshore wind resource in a manner that maximizes benefits to the local community. What is the Call for Information? What About the Fishing Community? The North Coast region is home to a commercial fishing industry that provides sustainably-caught seafood to our community and many others. For many generations these commercial fisheries have provided a livelihood for local fishermen and their families, and it continues to be a key element of our region’s economy and local culture. The Redwood Offshore Wind consortium recognizes that a viable commercial fishing industry is integral to the economy and culture of the North Coast and that the development of offshore wind energy will permanently impact the commercial fishing industry economically and culturally. They recognize that such development should be pursued in a manner that minimizes and mitigates impacts to fishing so that both endeavors can sustainably coexist for the benefit of our community. Both the consortium and the Humboldt Fishermen’s Marketing Association agree to cooperate and work together in good faith for the purpose of ensuring that the efforts of RCEA and its project partners to develop a floating offshore wind energy project off the coast of Humboldt County proceed in a way that effectively identifies, avoids, minimizes, and mitigates impacts to the commercial fishing industry to the greatest extent possible. Although the number of registered commercial fishing boats in the Humboldt Bay area has declined from approximately 500 in the 1950s to approximately 220 in 2004, the bay is still an important port for commercial fishing. Commercial crab fishing is highly active in nearshore waters off Eureka and makes up the overwhelming majority of Eureka commercial landings and ex-vessel revenue between 1992 and 2014 (Hackett et al. 2017). Groundfish trawl fisheries occur at greater depths, generally in water depths less than 600 fathoms (1100 meters), with an average depth of <300 fathoms (550 meters) (Sommers et al. 2016). Since 1981, total pounds of all fish landed in Eureka has dropped from a high in 1981 of 36.9 million pounds to on average 1.9 million pounds between 2001 and 2007; most of the decline was due to a decrease in groundfish landings (Pomeroy et al. 2010). Eureka City Council focuses on sustainability fishing industry Phillip Santos, Times-Standard, December 18, 2018 . 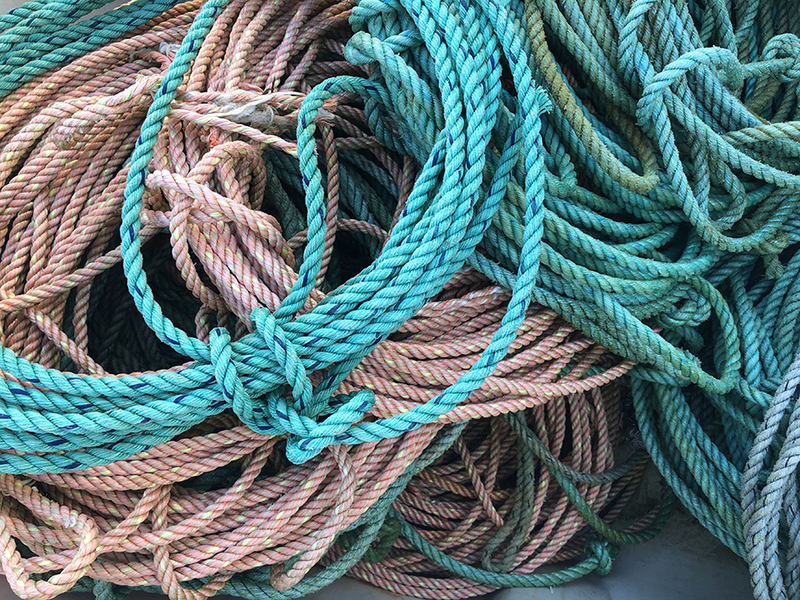 The Eureka City Council turned its attention to the status of the fishing industry at their meeting on Tuesday evening. “Facing the Wind” A fisherman’s take on offshore wind, by Ken Bates and Linda Hilderbrand, in the North Coast Journal. What is the Redwood Coast Offshore Wind consortium? 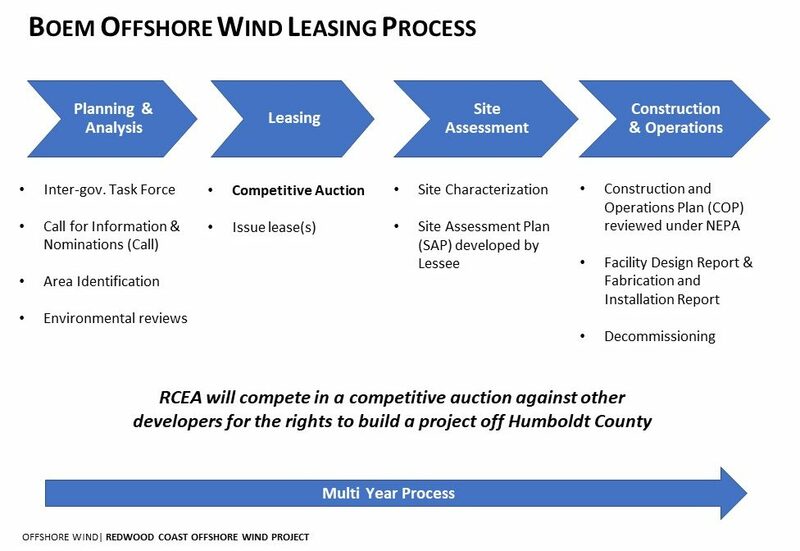 At the beginning of April, 2018 the RCEA Board of Directors selected partners for a public-private partnership to explore developing a wind farm off the coast of Humboldt County. The consortium, consisting of Principle Power Inc., EDPR Offshore North America LLC, Aker Solutions Inc., H. T. Harvey & Associates, and Herrera Environmental Consultants Inc, was selected from six highly qualified respondents after RCEA issued a Request for Qualifications in February. RCEA and the consortium submitted an unsolicited lease application to the Bureau of Ocean Energy Management on September 12, 2018. Although that lease request was not granted, we are continuing with what will now be a competitive lease auction for the same area. The consortium is working closely with local stakeholders to minimize any potential impacts and maximize local community benefits. Once a lease has been approved, the work of researching and developing a plan will take years to complete and will be the product of extensive community collaboration. Click on the partner logos below to be directed to their respective websites. NY Times – “Something New May Be Rising Off California Coast: Wind Farms”. 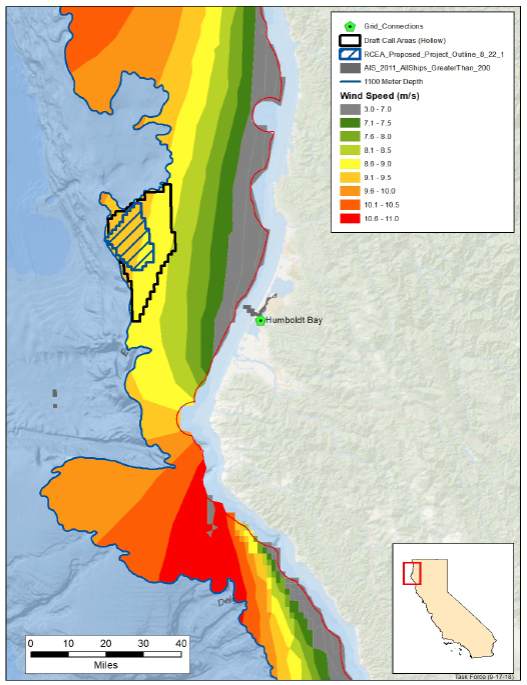 North Coast Journal – “In the Wind” cover feature article on Offshore Wind in Humboldt County. Explore North Coast and the Humboldt Bay Aquatic Center – Explore North Coast and the Humboldt Bay Aquatic Center will present a talk in their lecture series Monday featuring Matthew Marshall, executive director of Redwood Coast Energy Authority. His presentation will focus on the potential of an offshore wind energy project. The lecture is scheduled from 6 to 8 p.m. at the Humboldt Bay Aquatic Center, 921, Waterfront Drive. Admission is free. 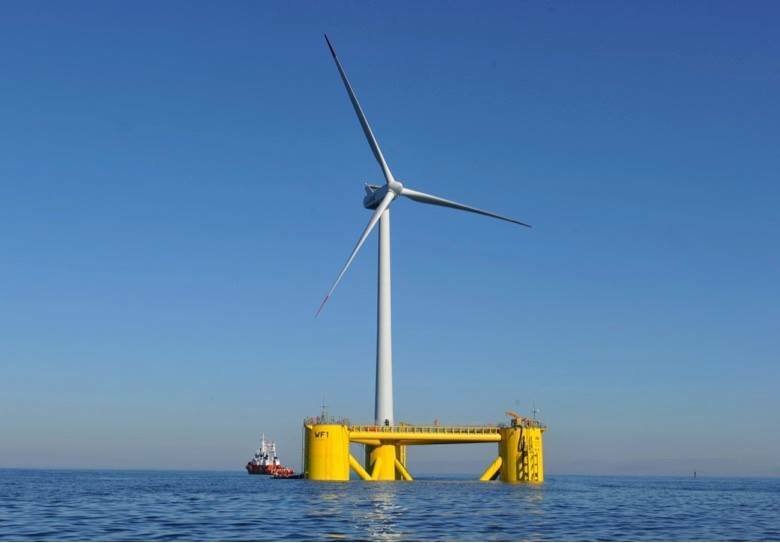 KHSU Thursday Night Talk – TNT explored the Redwood Coast Energy Authority’s proposal to put a floating offshore wind farm off Humboldt’s coast. The proposal, which would place floating wind turbines ~20-24 miles offcoast, would generate enough power to light all of Humboldt. Guests Lori Biodini of the Redwood Coast Energy Authority and Jen Kalt of Humboldt Baykeeper discussed the proposal and potential environmental impacts, both positive and negative, with host Tom Wheeler. 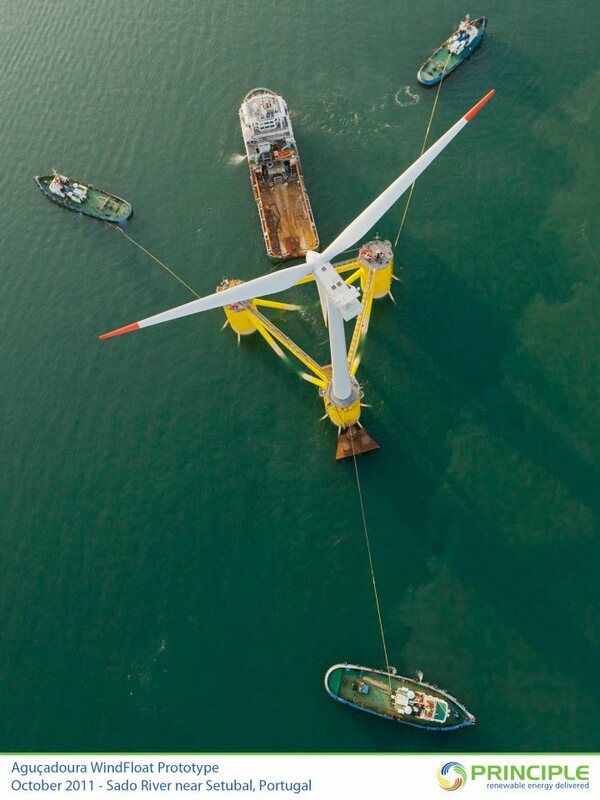 Jefferson Public Exchange – “North Coast Eyes Offshore Wind Farm,” interview with Lori Biondini of RCEA, Jason Busch of the Pacific Ocean Energy Trust, and Geoffrey Riley. KHSU EcoNews Report – Interview with Matthew Marshall and Jen Kalt. Through extensive research and over forty interviews with stakeholders and experts in California, the authors assessed the current challenges and opportunities for offshore wind development. 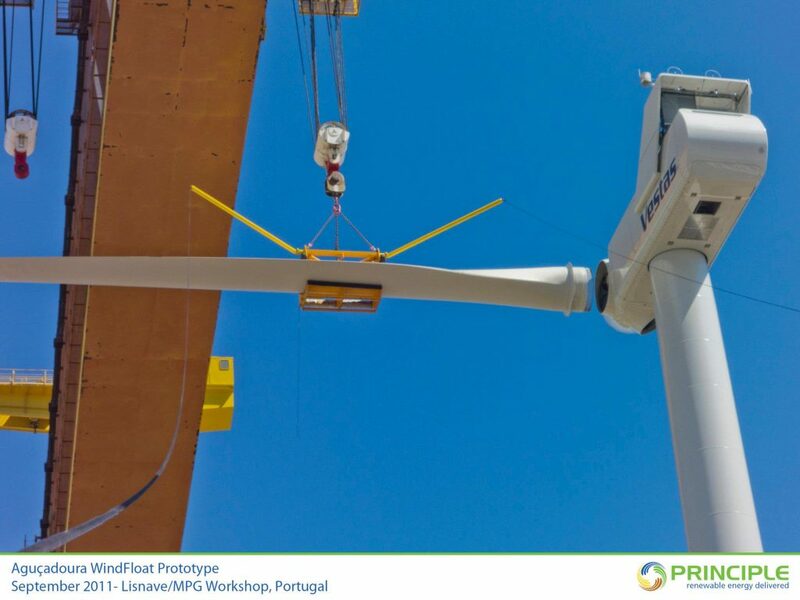 West Coast Environmental Monitoring Protocols for Marine Renewable Energy – includes a case study for Humboldt offshore wind. 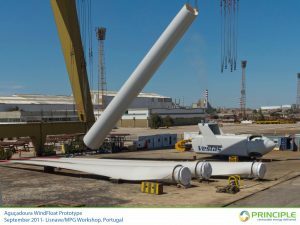 Request for Qualifications – Offshore Wind Development Partners (closed). Lead, coordinate and integrate regional efforts that advance secure, sustainable, clean and affordable energy resources. Support research, development, demonstration, innovation, and commercialization of sustainable energy technologies by public and private entities operating in Humboldt County. 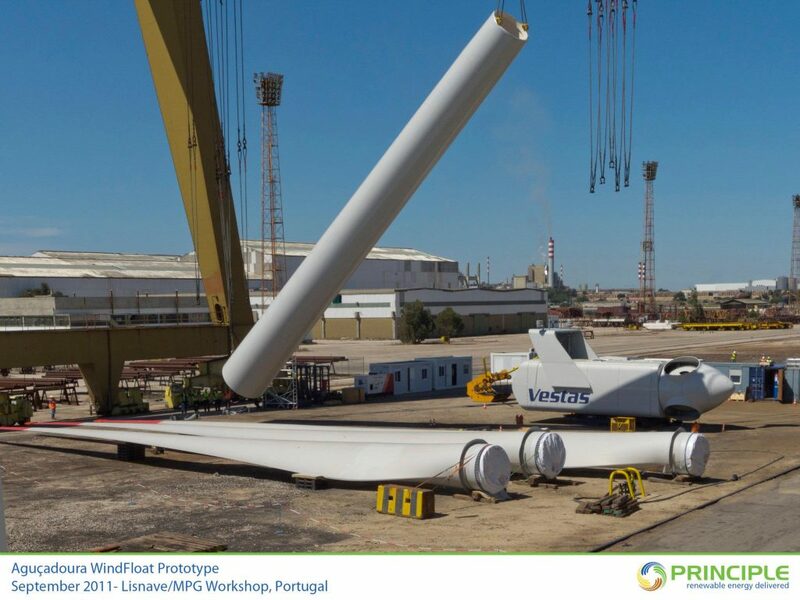 Large-Scale Wind Energy: Work with utilities and private companies to develop off-shore wind energy demonstration projects. Emerging Energy Technologies: Support the development of emerging energy technology from local innovators and inventors, as well as from non-local sources. Business Development: Collaborate with local economic development entities to attract technology developers, manufacturers, and energy service providers to locate operations in the County when appropriate. Proactive Development Support: Collaborate with local jurisdictions to identify and pre-assess locations and facilities that could appropriately support energy generation projects and/or other energy-related business ventures. Local Energy Investment: Work with local economic development entities and financial institutions to develop programs and resources that facilitate local community investment in and/or ownership of energy efficiency and renewable energy projects. Finalized in 2014, the RePower Humboldt Strategic Plan (a community-wide effort to define a vision and Strategic Plan for achieving energy independence and energy security in Humboldt County) identifies “pursuing opportunities for off-shore wind energy research, development, and demonstration” as an important objective, noting that Humboldt County is uniquely positioned to play a critical role in the early adoption of offshore wind energy resources in California and that local harbor infrastructure can support development of these technologies. Turbine photos on this page courtesy of Principle Power Inc.